Katniss Everdeen wasn’t exactly thrilled for the 74th Reaping Day in Suzanne Collins’ The Hunger Games — mostly because her sister, Prim, was eligible to become a Tribute. 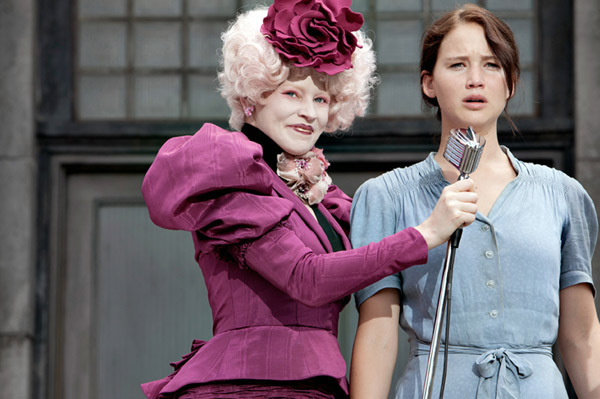 The children of District 12 were supposed to dress up for Reaping Day — something that’s not exactly easy for the poor people of The Seam. However, we loved her simple, country style and found some looks that Katniss herself would wear. Katniss’ button-down shirt dress reminds us of vintage linen and cotton dresses from the ’50s and ’60s. 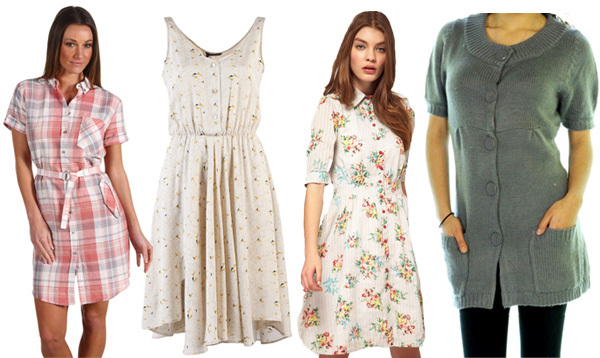 The trend is back in a big way for spring and summer 2012 with country-inspired shirt dresses that are both comfortable and easy on the wallet. Want to rock the look? Keep your eye out for vintage dresses (or dresses that only look vintage) like this plaid Fred Perry button-down Madras shirt dress for $169 at Zappos. Or, you can go for a softer look with this Obakki button front dress ($415) or a Lowie button-down shirt dress from Asos for $104. For colder weather, try this Level Eight vintage-style gray button-down sweater dress from Sears for $46. You’ll want to wear some leggings or skinny jeans under it, otherwise you’ll be reaping all sorts of unwanted attention (hello, wardrobe malfunction!). You can go two ways for Reaping Day-inspired shoes: Vintage-inspired oxford heels or simple flats. We found these adorable tan and cream Oxford heels ($65) that we can totally envision Katniss wearing on reaping day with her dress. If heels aren’t your thing, these linen ballet flats from TOMS ($74) also go great with cotton and linen dresses for casual weekend style. Less is definitely more when it comes to Reaping Day-inspired style. This is especially true when it comes to accessories — Katniss didn’t have the cash (or desire) to wear tons of jewelry. Stills from the movie don’t show our heroine wearing any sort of jewelry, but simple pearl earrings like these from Amazon ($37) would look great with her updo. 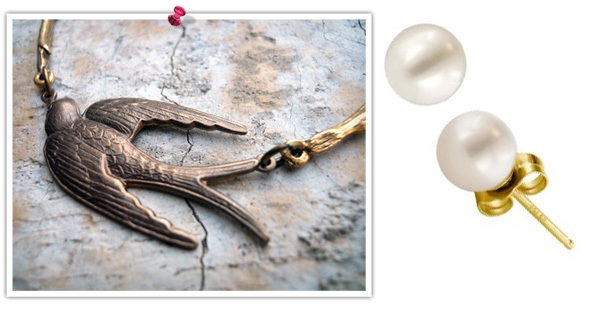 Oh, and you can’t forget the Mockingjay: We love this Hunger Games-inspired necklace from Etsy ($35) — it’s lovely without looking like a cheapo souvenir from the movie. How would you pull together a Reaping Day-inspired style?